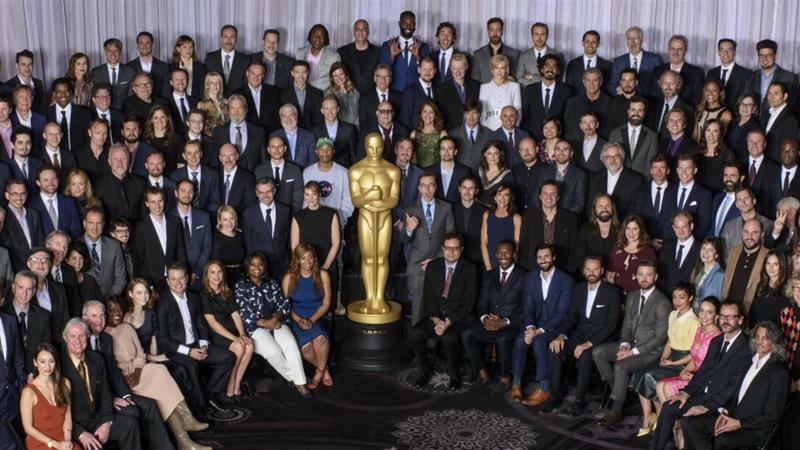 Oscar nominees' refusal to be paid props for Brand Israel could reflect a desire to avoid a very polarised discussion. As Israel moves ever more dangerously rightward - evidenced by the latest law legalising the state's expropriation of private Palestinian lands and the extremely conservative appointees to the High Court - Prime Minister Benjamin Netanyahu seems, perhaps paradoxically, more obsessed than in the past with promoting Israel's positive image in the international arena. Indeed, the current government has poured millions of dollars into its Brand Israel campaign. Just this past December, Haaretz reported that the tourism ministry "was granted its biggest marketing budget ever in the past year as it tried to change Israel's image as a travel destination and expand the range of tourism offerings." Apparently, the government is hell bent on trying to convince the international community that the Jewish state is and remains the only democracy in the Middle East. This illusion appears increasingly difficult to sustain as time passes and fewer international actors seem to be buying it. Apropos actors - let's take a look at the latest reports from Hollywood. In the days before the 2017 Oscars award ceremony, a flurry of articles were published on how the Tourist Ministry attempted to lure 26 nominees to Israel with lavish tour packages estimated at about $55,000 each. Government officials justified their actions by insisting on the importance of regaling celebrities with the "real Israel". Clearly what is at stake here is the projection - and exorbitant chorographical production - of normality, where the celebrities are used as a vital prop in the Brand Israel campaign. Leading media outlets, however, reported that not one of the two dozen stars had accepted the invitation. The often politically incorrect Jennifer Lawrence handed her package deal over to her parents, while Leonardo DiCaprio appears to have had enough of Israeli paparazzi, particularly given his experiences during his past visits with his then girlfriend, supermodel Bar Refaeli. The unwillingness of these Hollywood stars to participate in Israel's branding efforts could well mark an important transformation in popular United States-Israel relations. On the one hand, these actors have not made any public declaration or come out publicly in support of the Boycott, Divestment and Sanctions movement (BDS). Therefore, their refusal to accept an all-expenses-paid - and more - visit to Israel should not be understood as an active or overt political statement. On the other hand, the total absence of any signs of enthusiasm about visiting the "Holy Land" on the part of the Oscar nominees could point to something else, namely, a profound shift in cultural perceptions. As Israel's settler colonial project continues unabated, many younger Americans - who also happen to be these celebrities' main fan base - consider the country and its policies incredibly divisive. A recent Pew Report highlights this trend. Although most Americans still sympathise more with Israel than with the Palestinians, over the past decade US public opinion has shifted quite dramatically. Indeed, for the first time this century - and thus in history - liberal Democrats are about equally split between sympathising more with Israel (33 percent) and with the Palestinians (40 percent). Furthermore, among the Millennials fewer than half (43 percent) sympathise more with Israel, while about a quarter of them (27 percent) sympathise more with the Palestinians, the highest percentage of any generation. The Hollywood stars' refusal to take advantage of Israel’s lavish package tours could therefore reflect a desire to avoid entering into this very polarised and incendiary discussion. Ultimately, though, no matter what the stars' convictions are vis-a-vis Israel, the overwhelming lack of response reveals, at the very least, that Israel is no longer a particularly desirable destination, even for an all-expenses paid vacation.In other words, these stars - who are endlessly promoting brands and products (mostly their own) to as broad an audience as possible (but mostly to Millennials) - may well have realised that endorsing the Israel brand has simply become too controversial. The Israeli lobby, it turns out, can no longer take Hollywood for granted as part of its Brand Israel campaign. And this is significant. Additionally, however, this also suggests that, not unlike the final years of the South African Apartheid regime, the cultural front has become an increasingly important site ofstruggle in Israel-Palestine. Indeed, just last week, another crisis erupted when only five of 11 NFL players joined a trip to Israel after the Super Bowl. As Seattle Seahawks defensive end, Michael Bennett stated, he would "not be used" by Israel for publicity. "When I do go to Israel - and I do plan to go - it will be to see not only Israel but also the West Bank and Gaza so I can see how the Palestinians, who have called this land home for thousands of years, live their lives." Although the fight against Israel's headlong move towards apartheid will undoubtedly have to continue to be waged on a variety of fronts, stars and superstars may well have an increasingly important part to play in this very real drama. After all, if Hollywood has taught us anything at all, it is that we should never underestimate the power or influence of popular culture. This piece originally appeared in AlJazeera English. Read the original here.